Last week, on May 8th, Placencia Village residents and the Village Council are reported to have held a night meeting where they unanimously re-affirmed their opposition to mass cruise ship tourism for southern Belize. 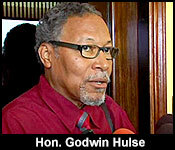 That exasperates Godwin Hulse to no end. He's the minister in charge of the Cabinet Subcommittee for investment and he's been to Placencia to try and convince the village council more than once. Today he told us he thought he had convinced them:..
"I'm dismayed. I met with them the previous Wednesday, and in a meeting with the full council, we had, and this was in the presence of my C.E.O., the Director for Local Government, the Fire Chief, the Director for Rural Development - we had their one hundred percent unequivocal endorsement of the project when we explained how the project was being developed. This whole matter of mass tourism, we explained to them carefully…that when NCL was developing its project, because there was such a hue and cry against tourism in the south, they wanted to develop their exclusive island. They wanted to develop Harvest Caye, and people would only land there, come and go. The Government of Belize said well that's not going to help us, we need to have people visit the sites, we need to create jobs, tenders, tour guides, bus operators, etc. To balance the cry, Government said to NCL you must bring twenty-five percent of your tourists ashore to visit sites up to the maximum carrying capacity of the sites. I'm very surprised to hear that Placencia turned around. And I saw the mails saying that they do not endorse. We have to stop flip-flopping and be real. Come on man, we can't on the one hand say we want jobs, we want jobs for our people and then when investments come we don't want them. Let's make up our minds. What we don't want; we don't want ASR, we don't want Stake Bank, we don't want NCL…then what do we want…then we say no investment, so what do we want?" Minister Hulse has many responsibilities and acts in several capacities including the Chairman of Cabinet’s subcommittee of Investment and today he spoke about the Norwegian Cruise Line Project on Harvest Caye. 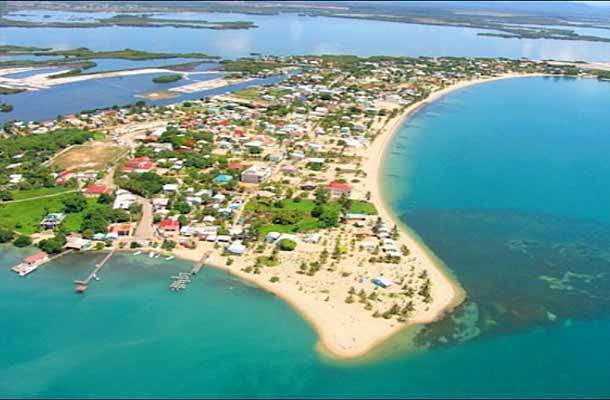 In an email sent to the media, the Placencia Village Council and its residents reaffirmed their opposition to Mass Cruise Ship Tourism. The council says that a meeting was held on May 8 in which the villagers unanimously voted against NCL’s project. Minister Hulse who has been involved in the project from the onset, says that he is dismayed at the council’s decision since he had previously met with the Village Council who, at that moment, expressed support for the project. The Belize Tourism Industry Association has filed an application for leave for an injunction to stop works being done on Harvest Caye by NCL.